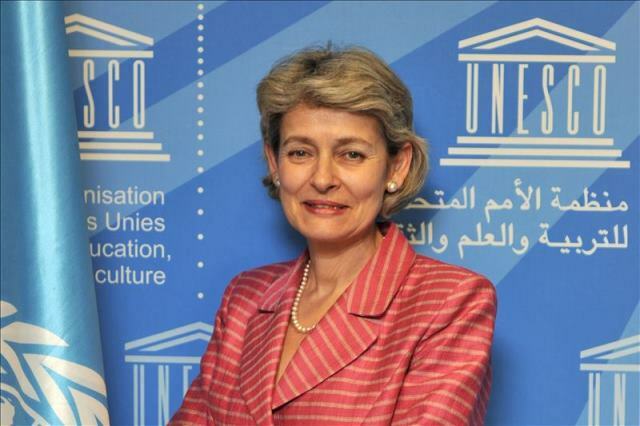 “The UN agency, led by Mrs Irina Bokova, has significantly contributed to the free flow of information – especially to the spread of freedom of information legislation to some one hundred countries, according to current data. Recently, the UNESCO has successfully worked for the right of ‘access to information’ to be included into the UN Sustainable Development Goals (2015). The medal is also to mark the personal leadership of the Director-General in defending free flow of opinions, media literacy and education, within international community countering violent extremism”, stated the chairman of the Board of the Anders Chydenius Foundation at the award ceremony in Helsinki, 4 December 2015. The Chydenius Medal was awarded to Mrs Irina Bokova by the Anders Chydenius Foundation and the Association for Chydenius Institute. In addition to Mr Björkstrand, the ceremony was attended by the the chairman of the Board Antti Isotalus (Association for Chydenius Institute) as well as the secretary general Juha Mustonen (Anders Chydenius Foundation).